After graduation at the University of Ghent as a Master of Science in civil engineering (1999) with a specialization in probabilistics and risk analysis, Joris Blanckaert (°Lokeren, 1976) started his studies at the Royal Conservatoire of Ghent, enrolling for a Bachelor degree (2005) in jazz accordion, and eventually graduating as a Master of Arts (2015) in contemporary composition. As a live performer he has been member of several ensembles, including bal des boiteux (2000–2008) and bOOmfanfare (2001–2015). Since 2008 he is artistic director of artist collective Muzi a Zeny. Within this collective he has been collaborating with, among others, soprano Elise Caluwaerts, cellist Benjamin Glorieux, choreographer Nelle Hens, writer Sarah Eisa and dramaturge Wannes Gyselinck, with whom he created the chamber opera ‘the Wandering Womb’ (2013), the lecture performance ‘Tips & Tricks’ (2015) and the ‘My body my instrument’ performances about eye-ear coordination. Joris’ compositions have been created by ensembles and orchestras including Symfonie-orkest Vlaanderen, Spectra ensemble, Emanon ensemble, Rias Kammerchor, DR VokalEnsemblet, Latvijas Radio Koris, Maeterlinck Ensemble, Prosperus4 SQ, Navarra SQ, Ontroerend Goed and Tiptoe Company in venues and festivals such as De Singel, Concertgebouw Brugge, Operadagen Rotterdam, Staatstheater Mainz, BOZAR, MAfestival, Happy New Festival, Amuz, VoorwaartsMaart/EnAvantMars, Vooruit Gent, De Grote Post Oostende, Bozar, Flemish Operastudio, No New Artists!, MiramirO, Music Centre De Bijloke, Drum Theatre Plymouth, Fringe festival Edinburgh,… He also creates electronic music and has composed soundtracks for the AURORA light festival (Dallas), TRACK festival (Ghent) en the MiramirO fireworks (Ghent). In 2015 he has received the East-Flemish provincial prize for contemporary music for his opera composition ‘elle est moi und töte mich’. From 2016 to 2020 Joris Blanckaert is composer in residence at Music Centre de Bijloke, during which he has created ‘The Druids, who know, see and hear nothing’, a +7h performance. Also since 2016, he holds the position of coordinator of the advanced master programme for contemporary music at the School of Arts in Ghent. 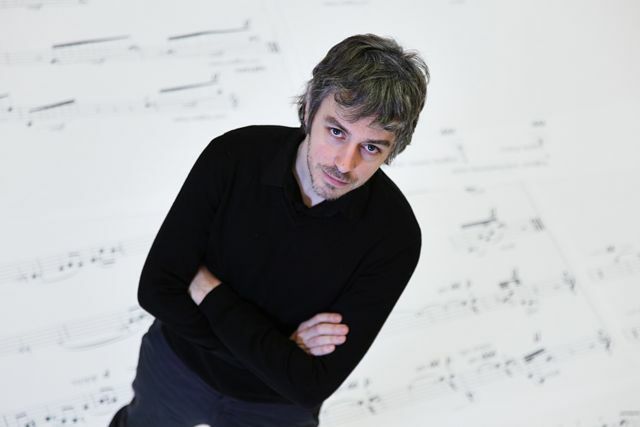 Between 2017 and 2020 Joris Blanckaert will create and collaborate with Klarafestival, Spectra Ensemble, Symfonie-orkest Vlaanderen, Zefiro Torna and Ontroerend Goed.